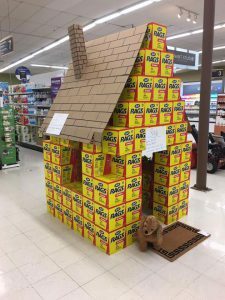 The winning rag-box display was a dog house with Rags the dog sitting outside to greet customers. 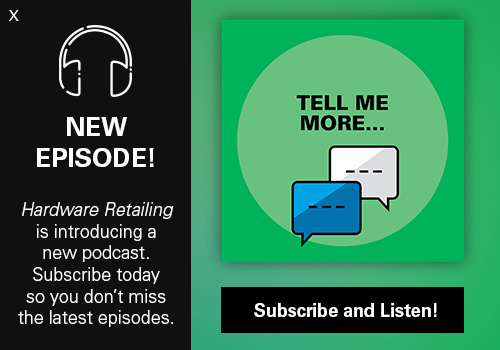 When Whitmore Ace Hardware got a surplus buy on boxes of disposable rags, director of marketing Laurie Becker saw an opportunity to get creative with merchandising. 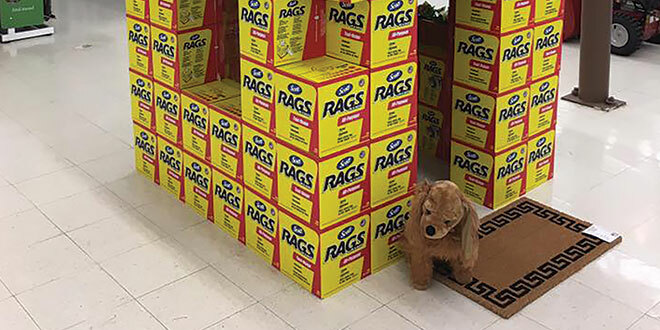 Instead of just stacking the boxes on a regular pallet display, she challenged managers at each of the company’s six locations in northern Illinois to a contest: Use the boxes of rags to build something unique that could be displayed in each store’s main aisle.